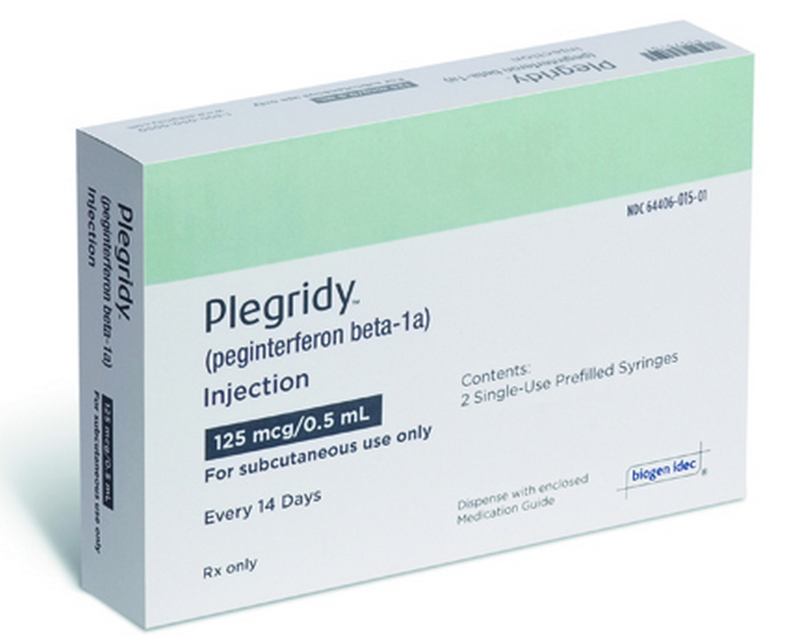 "PLEGRIDY is the first interferon dosed once every two weeks, which reduces the frequency of relapses and slows the progression of disability in people living with RRMS," said Dr. Marcelo Kremenchutzky, Director of the Multiple Sclerosis Clinic in London, Ontario. "PLEGRIDY provides the safety profile we have come to expect from an interferon, with demonstrated efficacy and the added convenience of a reduced dosing schedule." "We are pleased that Health Canada has been responsive in listing another disease-modifying therapy for those with multiple sclerosis," says Sylvia Leonard, National Vice President, Programs and Services, MS Society of Canada. "This responsiveness means that Canadians with MS have a more diverse range of treatment options available to them to meet their needs and lifestyles. Individuals with MS who are interested in exploring treatment options are encouraged to consult with their healthcare team to find the course that is most appropriate for them."